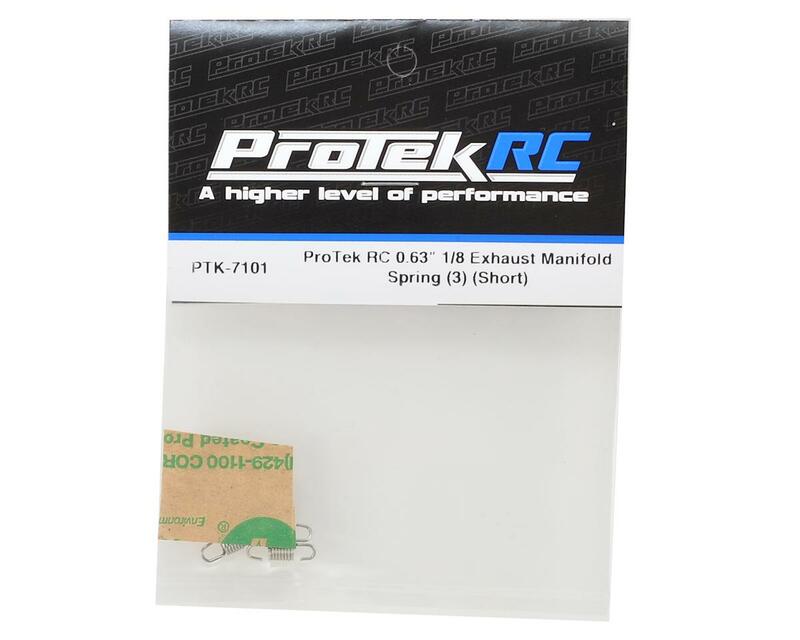 This is a set of three 0.63" or 5/8" ProTek R/C Short Exhaust Manifold Springs, and are intended for use with 1/8 Scale Nitro Engines. These Exhaust Manifold Springs attach the tuned pipe to the tuned pipe manifold. 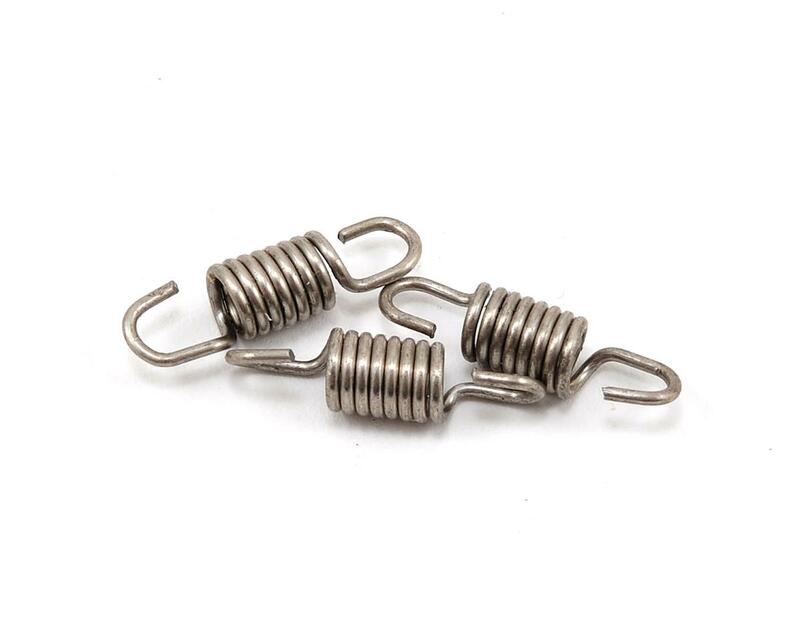 These springs tend to lose their resiliency as they absorb the intense heat from the engine. As this happens, the springs weaken and can become loose which can lead to gasket damage or leaks. Out of the three in the package, two broke immediately when I tried to install them onto a brand new pipe and header with my Hudy spring tool. Didn't over tension them or anything, just when pulling on them to get into place, the curve snapped.